Marks: Ex. Coll. CJFJ Maassen, stamp at l.r. corner. 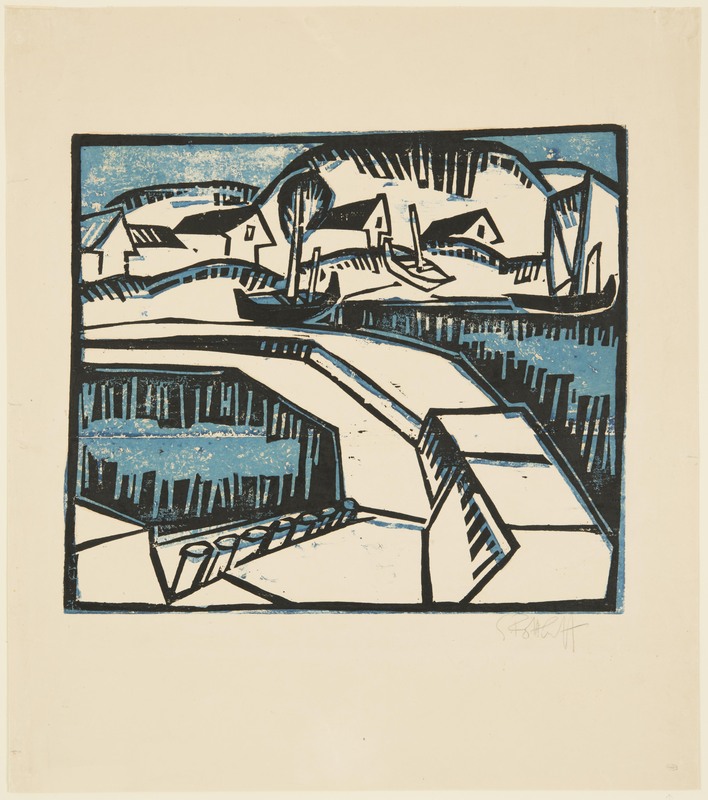 Inscriptions: l.l., verso, in pencil: "Schmidt-Rottluff, Dunen und Mole, 1917"
"Dunes and Pier." Loss and Restitution: The Story of the Grunwald Family Collection. Los Angeles: Hammer Museum, 2017. https://​hammer.ucla.edu/​collections/​grunwald-center-collection/​loss-and-restitution-the-story-of-the-grunwald-family-collection/​art/​art/​dunes-and-pier/​.